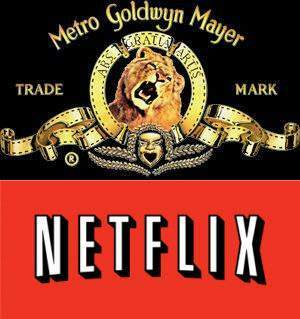 Netflix Inc. and Metro-Goldwyn-Mayer Studios Inc. this month announced a new multi-year licensing agreement that will make Netflix the exclusive subscription streaming service in the UK and Ireland for most first-run feature films from MGM. MGM titles will be available for Netflix UK and Ireland members to watch instantly in the pay TV window on their televisions, tablets, game consoles, computers and mobile phones, for a low monthly price. Netflix announced last month that it would launch its service in the UK and Ireland early in 2012. Appearing exclusively on Netflix within one year of their local theatrical release will be such films as "The Hobbit: An Unexpected Journey" and "The Hobbit: There and Back Again," the highly-anticipated prequels to the Academy Award-winning “Lord of the Rings” trilogy by Peter Jackson. There will also be such films as “Zookeeper” starring Kevin James, "Hansel & Gretel: Witch Hunters," with Jeremy Renner and Gemma Arterton, and "21 Jump Street," featuring Channing Tatum, Jonah Hill and Ice Cube. An extensive selection of great MGM catalogue titles will also be available on Netflix in the UK and Ireland, including "Capote", "Fargo", "The Usual Suspects", "West Side Story" and "The Amityville Horror." "We are delighted to be entering the UK and Ireland with a legendary studio like MGM at our side," said Ted Sarandos, Netflix chief content officer. “And we are excited to be extending our relationship with MGM from the U.S. to these important markets and proud to be the exclusive home for their films in the traditional Pay TV window"
"Developing this relationship further will help us bring our films, both old and new, into the homes of our loyal audiences with the great ease Netflix offers customers," said Roma Khanna, MGM’s President Television Group and Digital.